Hacking is something everyone should know about. Many people know hacking is bad but they keep falling in the hands of hackers. So why don't you learn some hacking tricks? Knowing about Hacking will help in protecting yourself better from hackers.Cyber wars are being fought everyday in todays society. It will be a pity to find yourself as a victim just because you lack the knowledge. Educate yourself about hacking, cyber crimes and cracking to be on the safe side of the internet. If you think the codes are boring then, it will be more boring if your computer or accounts are hijacked by some hackers. 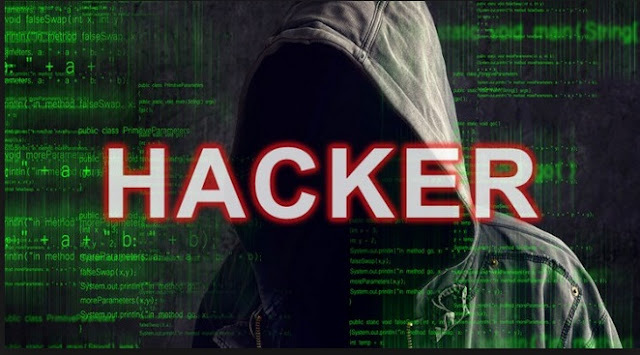 We present to you 7days of hacking where we will show you hacking basics and how to protect yourself from this good/bad technological innovation. Hahaha, i like calling it that way . Security hacking had been the talk of the day such that many people cannot give the correct definition of hacking. Techopedia defines hacking as the unauthorised intrusion into a computer or network by altering the system or security information to achieve a goal. Some people just do it for fun tough. But today, you can hack into your own system with the goal of protecting yourself too. In all , i will say . Hacking is a process where by someone known as the hacker tampers with a computer software(codes) or hardware to achieve a goal outside that purpose of the creation of that software or hardware. It is well understood when you have practised or had been a victim. So, who is a Hacker Then? A hacker is not a criminal. A hacker is simply someone who uses his or her computer knowledge to overcome a problem. Hackers used to be considered as programmers who uses weaknesses of any system or network to break into a computer system. However with the evolution in computer programming and the development of millions of software, many people can make use of software to hack into computer systems with little knowledge in programming. However , being able to read codes will make you a good hacker. We can refer to these class of hackers as crackers. I am not a hacker, but i like sharing hacking tricks. However if you award me a certificate, i will call myself a hacker. Will you do so? Hacking can be used to steal identity(identity theft). gain access to your email address, gain access to your social media (Facebook, Twitter,Google plus, etc) accounts, access websites without administrative rights among others. The deadliest weapon of hackers is the worms which are used to collect or destroy data. There are several hacking tools which are dependent on the hacker in question. Hello guys. This is Ransom . It been very long since i updated you guys with some tricks and hacks. Had been building up a business i think will serve my readers and others around the world. All the same i have not forgotten what you guys like. Welcome to my hacking series where we will show you some hacking tricks. Sean with the #Swaghack series had been keeping us with some basic tips to prepare you for the big deal. I remember how exciting these post had been. This time around we are going to do big things. We are going to learn hacking techniques that require some level of pro experience. Don't border guys,we will work you though everything. This series is for educational purpose. We are out to show you someways by which people can hack and at the end of every post we will share with you any possible methods to protect yourself. Using any of these methods for something bad is at your own risk. we are not responsible for any damage cost . Here is the Order in which i will be posting. #5 How to Hack Into Someone Computer. #8 How to Hack WhatsApp Accounts. At the end of this hacking week, you will learn, how to create Alibaba,DHL,Facebook and other websites spam pages, you will learn how to get passwords stored on a computer and more. Stay connected. The topics above might change depending on the availability of hacking tools. We promise to bring you the best and welcome anyone who wish to contribute to our hacking series. #7DaysHacking will be the harshtag to follow my hacking tricks. Hacking Quote 1: I was addicted to hacking, more for the intellectual challenge, the curiosity, the seduction of adventure; not for stealing, or causing damage or writing computer viruses. Kevin Mitnick . Hacking Quote 4:The Internet is a worldwide platform for sharing information. It is a community of common interests. No country is immune to such global challenges as cybercrime, hacking, and invasion of privacy. Lu Wei . I hope you have gotten someting from the quotes above. Feel free to share more in the comment section if you have any. If you cannot do any of the tricks and want to get sample scripts of what we have done. Contact me by email: ransbiz@live.com . You will have to pay for the script by using bitcoins to the address below. We will equally accept any donations to keep us going. We post for you because we care. Suggest hacking topics you want us to write about in the comment section. Share your favourite hacking trick as well or email us to feature your trick on our website. The use of firewalls and keeping your computer updated had been possible ways to keep yourself protected from hackers. However this done not mean doing this makes it impossible to hack into your system on network. It just makes it difficult. You must be vigilant in order to be safe. Have a nice day and welcome to our #HackWithMe.